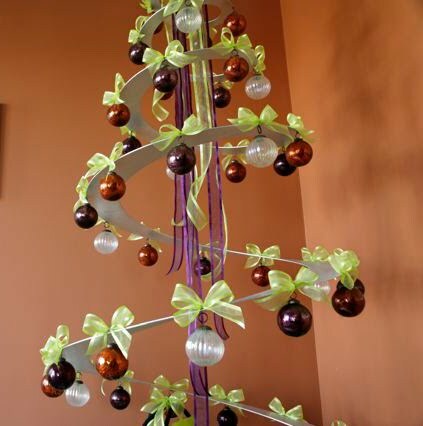 Designed to appeal to your modern sensibility and your green lifestyle, tannenboing is a hip, environmentally friendly and reusable modern Christmas tree made of recycled aluminum. 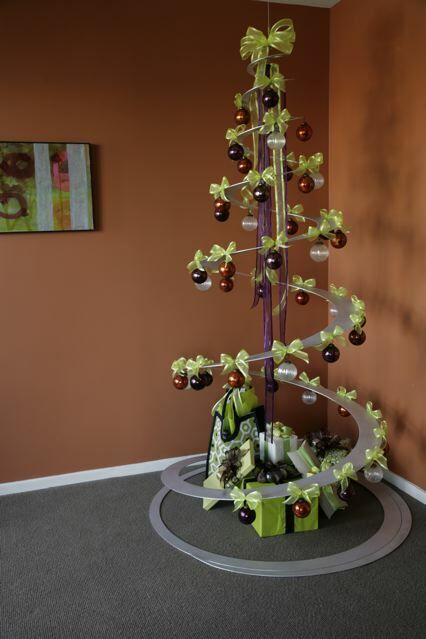 Produced in the USA, it easily springs into a modern Christmas tree each season and can then be flat-packed away for easy storage until the next year. 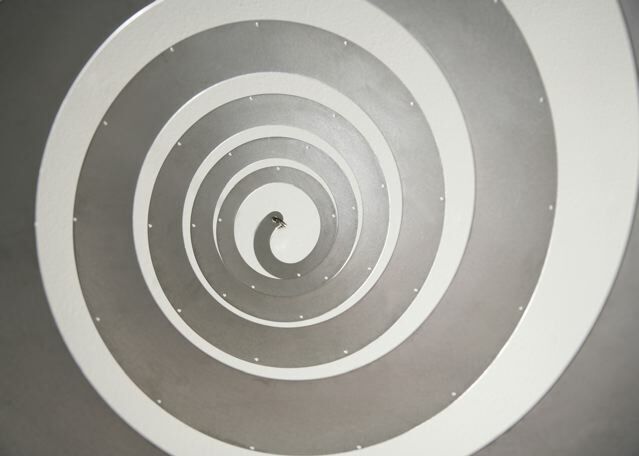 The tannenboing is a blank slate that can serve as a display for cards, ornaments, or jewelry. The smaller version makes a great point-of-purchase display to hold gift certificates, cards and other small items. 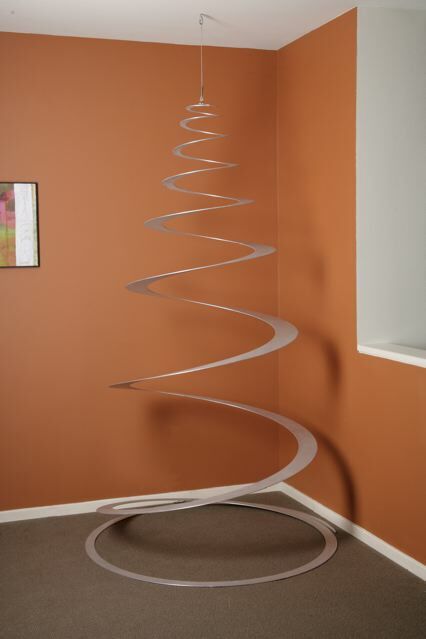 The clean design doesn’t take away from the articles or ornaments being displayed and it can be used as a display tree, design element, or modern sculpture all year round. 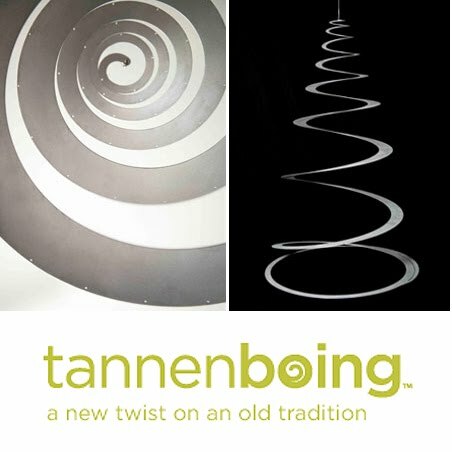 Tannenboing is environmentally friendly, and can be made from aluminum, wood and even recycled paper. The display piece is flat-packed and easy to assemble. 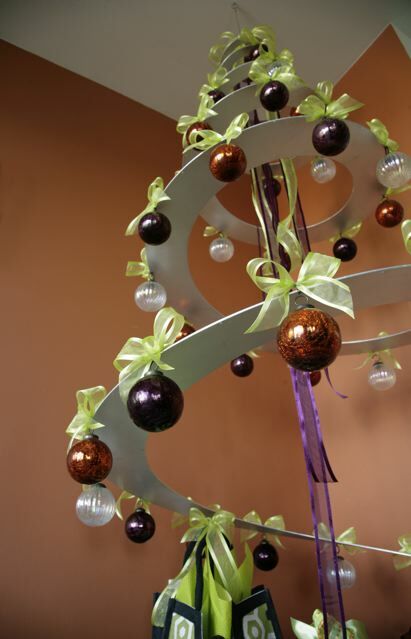 At the end of the season, the tree can be taken down and put away for next year, or it can be recycled. 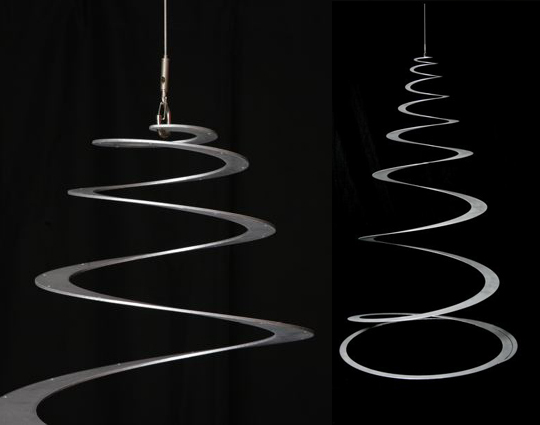 One tannenboing – the aluminum, spiral Christmas tree comes with an installation kit containing a gated hook, a gated wood screw and two cables (for ceiling heights of 8 and 9 feet). For ceiling heights higher than 9 feet, be sure to purchase the appropriate size cable. The tannenboing has over 200 small holes around the inside and outside edges to use for hanging ornaments or display items. The holes are 1/8 of an inch and work best with metal hooks. 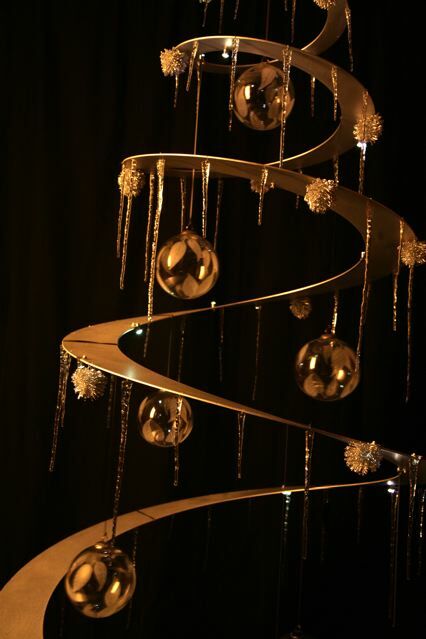 Only 100 first edition trees have been created and are available now for just $395 plus shipping. Order now, while supplies last. Popular Movie Posters "Zombified" By Matt Busch. Sweet Bread. Now, Toast Yourself. Fun With Skype Screen Grabs By James Callahan. The Burlesque Suspension Lamp By JVLT.